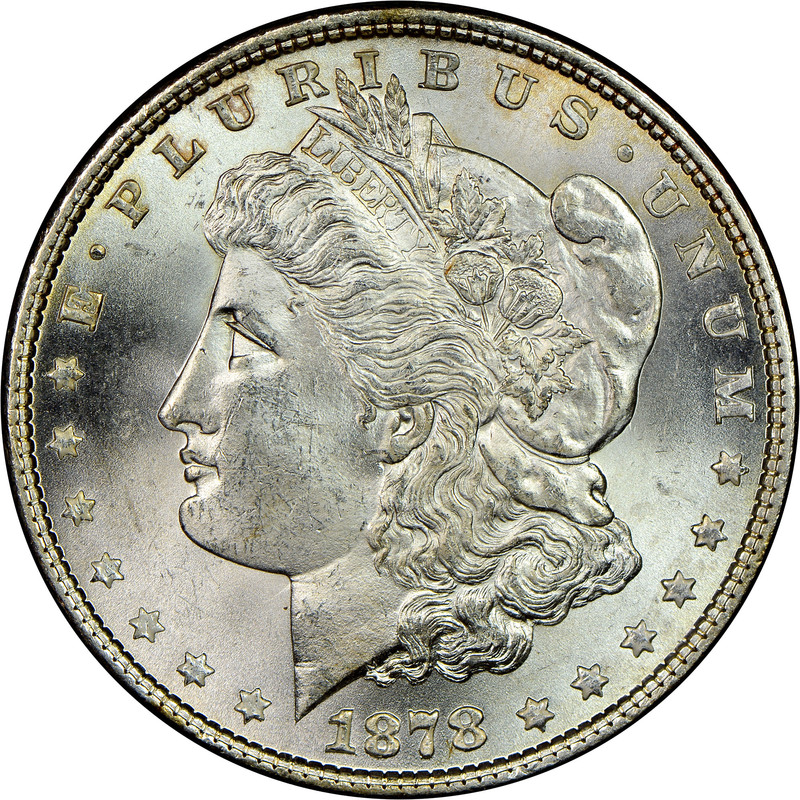 The 1878 7-Tailfeather Morgan dollar comes in two variations. 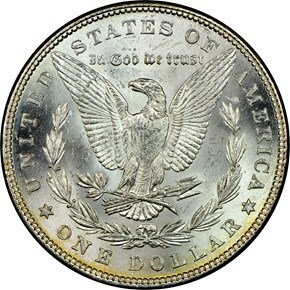 The first has an eagle with a flat breast, and a parallel top arrow feather, which is denoted the reverse of 1878. 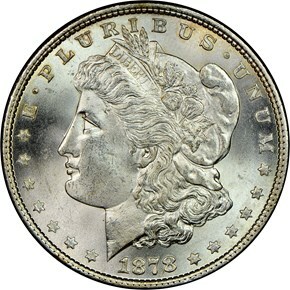 This is by far the most common variety of 1878 Morgan dollar. The other variety, denoted reverse of 1879, features an eagle with a convex breast and a slanted top arrow feather. It is estimated that perhaps around 1.5 million were struck using this new reverse, which makes it quite popular with collectors and cherry pickers.